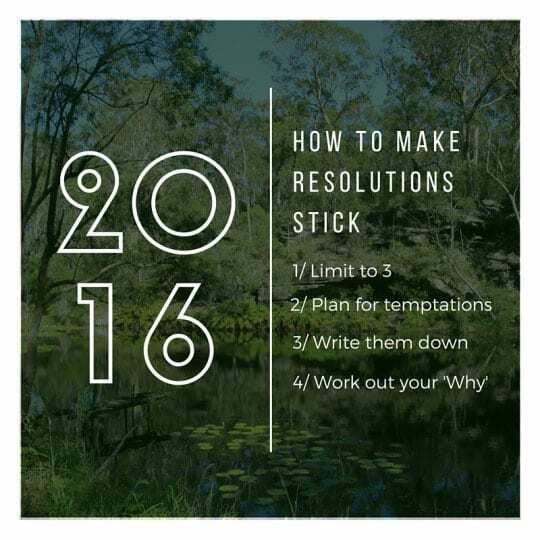 It’s that time of the year where new resolutions and intentions are set, but how do we actually make them stick? Here are some quick and easy tips. Work out how you’ll deal with the temptations that come up. It’s inevitable that challenges and old habits will arise so plan now how will you work around them and not let them get in your way. Write your intentions and resolutions out and stick them in places you can see them and be reminded of them everyday. Add your why to each intention – ‘Why’ you are wanting to change or achieve this resolution. If you have your ‘why’ you are more motivated to perform the action needed.